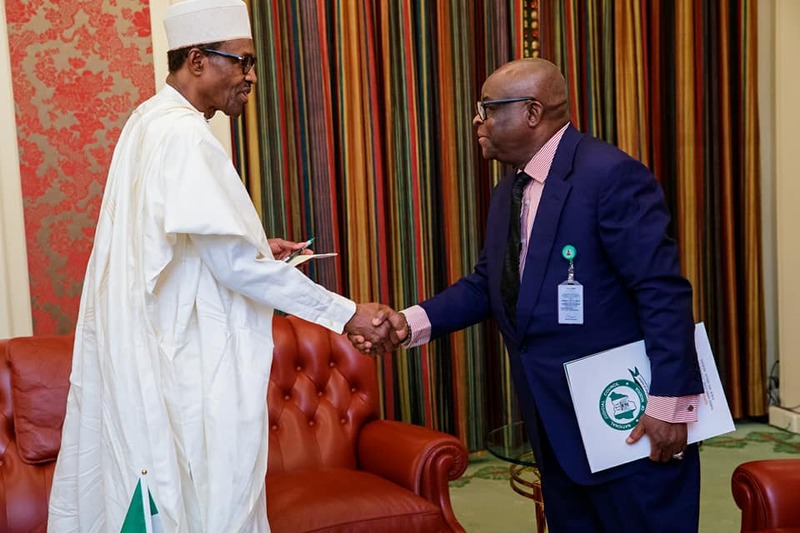 Who misadvised President Muhammadu Buhari to suspend the Chief Justice of Nigeria (CJN), Samuel Walter Nkanu Onnoghen, using the instrumentality of an ex-parte order procured at the black market? Here, Danladi Umar and Julie Anabor apparently re-scripted the Code of Conduct Tribunal (CCT) engagement rules last week, in Onnoghen’s alleged non-declaration of assets case pending before the Tribunal. The order lacked the imprimaturs of a properly-constituted and convened CCT. The name of the prosecution counsel that moved the ex-parte application on which the order was made was not indicated in the order. Besides, it has been confirmed that the CCT made the order in chamber after it had adjourned to the following week to rule on the preliminary objection challenging its jurisdiction. The ex-parte order was apparently made at the behest of forces that were not before the CCT to bolster the position of its (order) beneficiaries. Umar and Anabor conspired with external forces to expose the judiciary to ridicule. But it must be noted that ex-parte orders can be vacated. But as in this particular instance, can the mischief occasioned by the order be cured amid the constitutional crisis that has been set off? As it were, going by the plethora of reactions to Buhari’s action, the preponderant disposition is that Justice Tanko Mohammed who was sworn in as the acting CJN is an alien in the saddle as Onnoghen remains the constitutionally-recognised CJN, having not been removed from office in line with the laid-down constitutional procedures. Remarkably, all suits in respect of the Onnoghen issue are pending before some courts, including the Court of Appeal, Federal High Court and the CCT, regardless of the curious manufacturing of the order on which Buhari based the ad hoc interdiction of Onnoghen. What baffles in all of this is the position of Vice President Yemi Osinbajo (SAN). Where was the vice president, a brilliant lawyer by all standards, who should have helped the presidency to navigate the storm and guide it through the legal jigsaw puzzle, when the resort to this aberration was endorsed? Was he consulted at all to enlighten the presidency on the right step to take? Or, did the ‘ruling’ cabal pull a fast executive coup against the Constitution and judicial arm of government like a bolt from the blue, without carrying Osinbajo along? But when I remember that Osinbajo had initially defended Buhari as having no knowledge of the Onnoghen travails, I find it difficult to vouch for the sincerity of Osinbajo in the light of Onnoghen’s suspension. It is difficult to believe that Osinbajo did not have a foreknowledge of this action. Assuming without conceding that Osinbajo was in the dark, it then obviously leaves the Attorney General of the Federation and Minister of Justice, Abubakar Malami (SAN) at the top of the command-room where the plot was hatched. But the stratagem was lacking in perfection because of the slipshod manner in which it was pushed through. The power hawks fencing in Buhari obviously misguided him to deploy, though wrongly, the powers of his office to suspend Onnoghen and swear in Tanko Mohammed. Although, there have been reports that Buhari is already in a desperation mode for re-election and therefore not expected to decline or discourage moves that would conduce to the realisation of his second-term bid, it is moot if the president actually thought through the processes adopted and understood their ramifications. However, if the claims in certain quarters that Buhari had vowed, as far back as sometime last year at a secret meeting, not to hand over power in the event of his defeat in the February 16 election are anything to go by, then explications can be provided within the context of those unconfirmed claims to rationalise the current extreme anxiety that has engulfed the presidency and its officials. This brings me to the possible role Malami must have played in this odious act, which has been roundly condemned by well-meaning Nigerians, especially members of the Bar and the international community, especially the United States (US), the United Kingdom (UK) and the European Union (EU). The international dimension of the criticisms is instructive and it is hoped that Nigeria’s presidency will be prudent and act to cure the mischief it has caused by its precipitate action. I hope Malami, in his solitude, would be able to review the macabre dance into which he has drawn the presidency and soberly convince himself that he has misguided his political godfather and hero, Buhari, into a reckless self-help that has unmasked and projected his principal as a full-blown dictator. Is it not sad, in this circumstance, that Buhari, who had been neatly dressed in the garb of a Democrat in the period leading up to the 2015 presidential election, has finally had his ‘cover’ blown? That Malami helped to blow this ‘cover’ represented a shocking faux pas fed by his lack of gravitas and inability to deploy strategic and brilliant application of the law to manage his mandate. I personally did not expect Malami to take the president through this trajectory. Knowing that the president depends greatly on him for legal advice, he would have long before now strategically gone about demonizing Onnoghen within the NJC over which he (Onnoghen) presides. He would have lobbied a majority of the NJC members ahead of the submission of the petition to it, knowing full well that once the NJC was activated to consider the petition, Onnoghen, being the subject of the petition, would have recused himself and the Deputy Chairman of the NJC who is the next most senior justice on the Supreme Court bench would have presided over the consideration of the petition. If Onnoghen was indicted, the report would be sent to the president. From there, two options would be available: one is to cause Onnoghen to be arraigned before the CCT or to cause a report or an address to be sent to the Senate in accordance with Section 292 of the Constitution, which if supported by two-thirds majority, results in Onnoghen’s removal. For circumventing the due process stated supra and following Vladmir Putin’s “necessary process” of fighting corruption in a corrupt system, Malami has caused Buhari, by his action of on Onnoghen and swearing in an acting CJN, to suspend the Constitution of the Federal Republic of Nigeria. The concomitant result is the foisting of fascism on the polity. But I doubt if Buhari is comfortable with the flak his action has attracted. The reason I believe he is not comfortable is that this Buhari may be accused of nepotism – and I will concur while he may not as well give a damn. But one thing that I am disposed to believe that he cannot be accused of, even by his foes, is thievery. Now, there is a possible second ground of accusation: totalitarianism. Is Buhari capable of replicating the action of Louis X1V of France who emasculated the judiciary and the legislature and even went to the front of the parliament and declared, thumping his chest: “l’est tat c’est moi”, meaning “I am the state.” Regardless, I will still ask the question: Is Buhari now the Nigerian state? Maybe! And maybe not! Nevertheless, I urge well-meaning Nigerians to help stop or free Buhari from the hostageship of his handlers and the stranglehold of the “ruling” cabal that may have hijacked him. Members of the Bar, civil society organisations, et al, must embark on necessary positive actions to compel proper conduct by the presidency. As I write, the Senate had already announced its plan to reconvene. I do not need a crystal ball to know that the Senate would pass a resolution declaring Buhari’s action a nullity and, to put it mildly, directing him to refrain from actions that could plunge Nigeria into constitutional crises. Tags: Is Buhari a hostage?